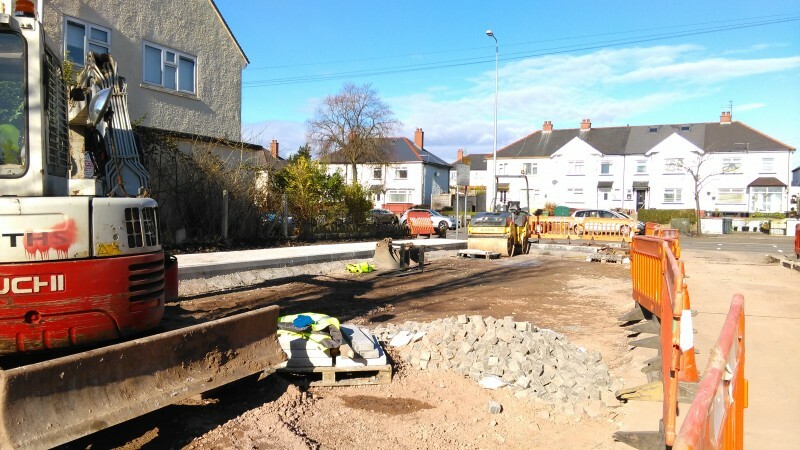 Work is nearing completion, with the final snagging of minor issues being undertaken. 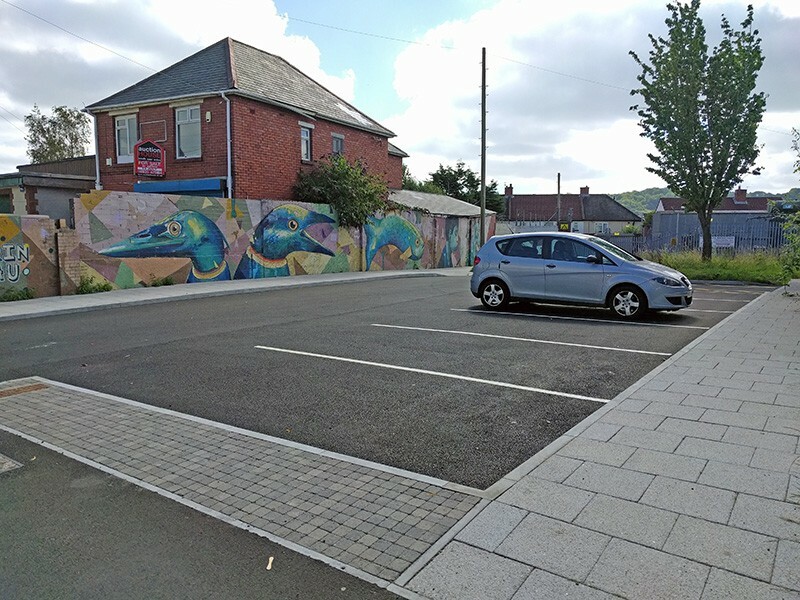 The new parking area is complete and lighting has been installed within the pedestrian gulley, which has also been repainted, resurfaced and cleaned. 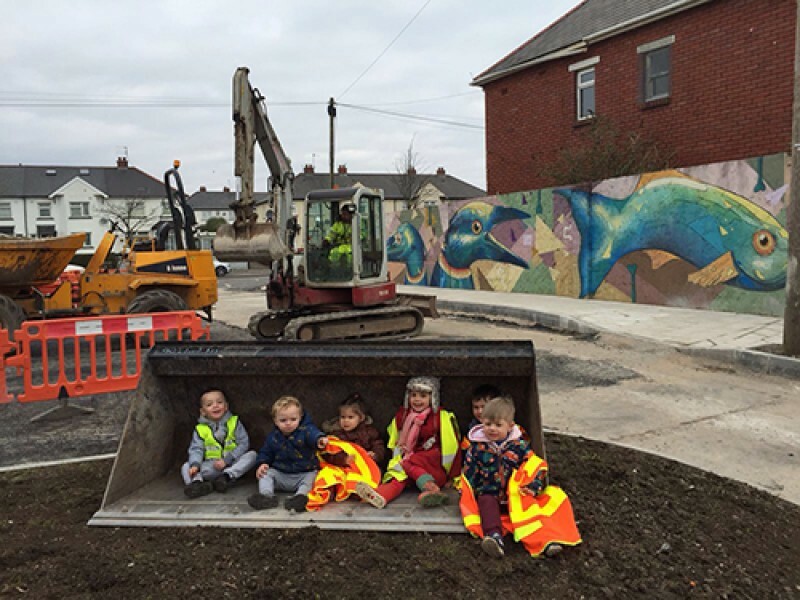 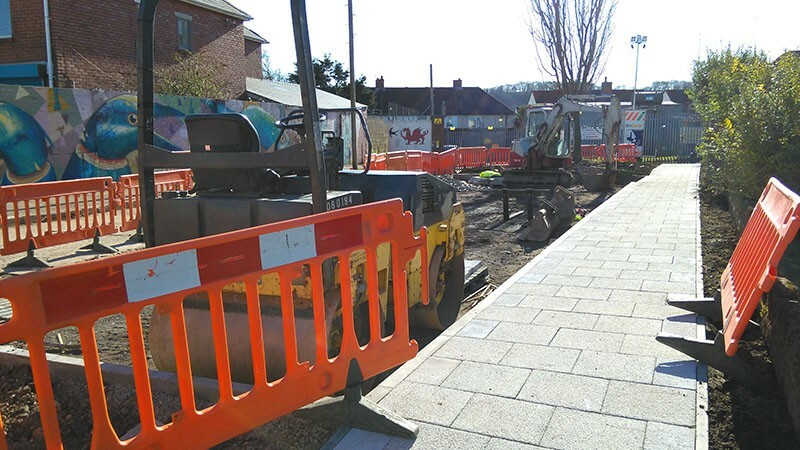 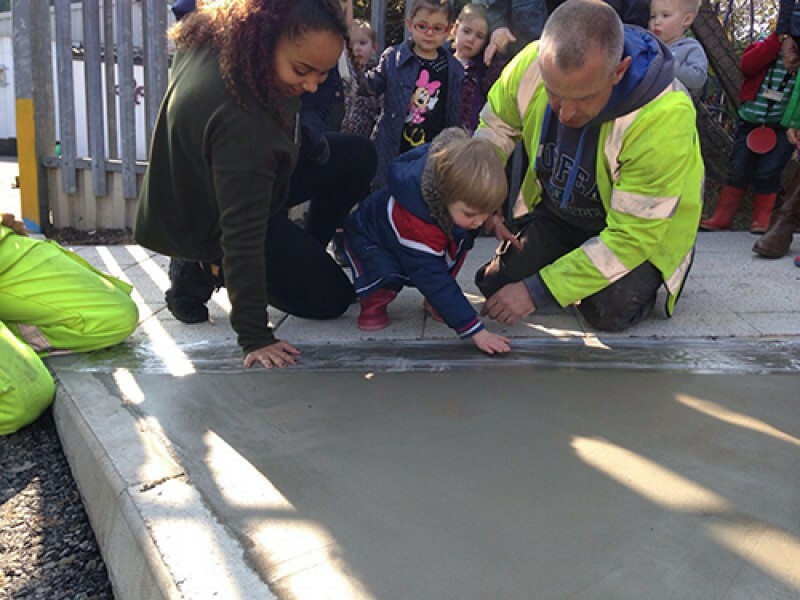 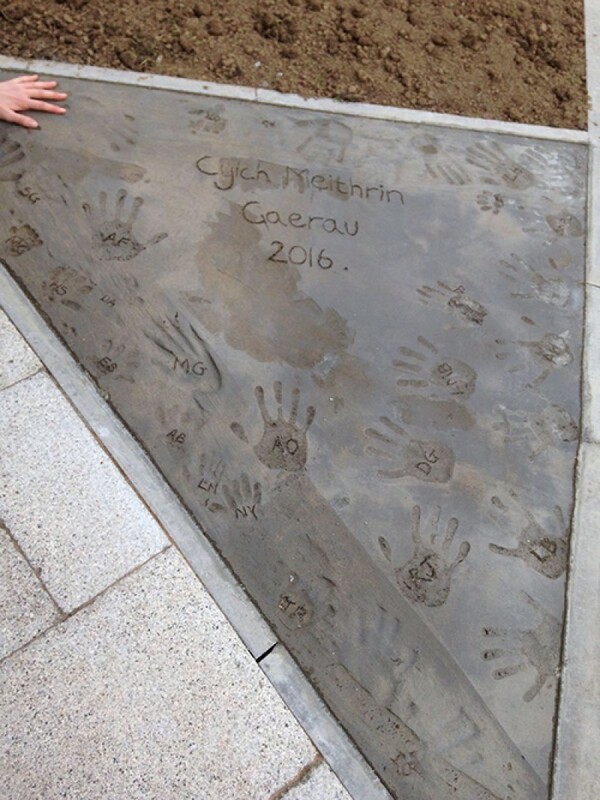 The contractors, Alun Griffith, worked closely with the Cylch Meithrin to minimise disruption during the work, and were even able to include the Meithrin children’s handprints in the pavement outside the nursery and Scout Hall entrance. 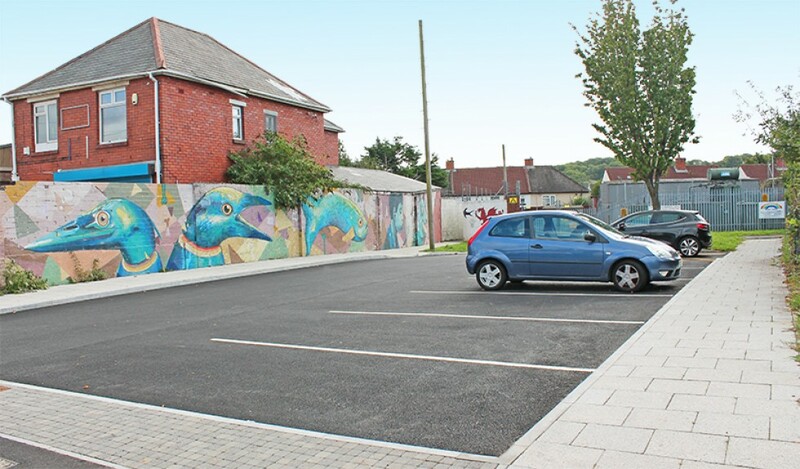 The gulley lights will be switched on and CCTV installed shortly.